Aleksander Błażejewicz, SPORT.TVP.PL: Have you already played with any of Team Kinguin current roster’s members earlier in the past? Ricardo “fox” Pacheco: No, I have never played with them before. Only against. A: Is the language barrier going to be a big problem for you and other team members? R: I think it’s pretty normal that we’ll have some difficulties with that in the beginning. But as time progresses and as we practice together more and more, we will get used to it and improve a ton. A: It is the second time you will be playing for Team Kinguin. How does it feel to be a part of this organization again? R: Of course it feels great. Kinguin was my first organization on an international level so, they will always have a special meaning for me personally. A: Do you play from the Kinguin Esports Performance Center or practice online? R: Right now, online. We will be training at the Performance Center soon, I hope. A: You are famous for your AWPing skills. Are you going to take the sniper’s role within the team or rather play as a rifler support? R: My main role will obviously be AWP but,I will pick up the rifles now and then. Especially when I get the feeling that I can have more of an impact by using them on certain maps/rounds or versus certain teams. A: In December, you were released from dignitas, alongside loWel and jkaem. Was it your own decision or was the org displeased with your results? R: I’d say it was a mutual decision. I wasn’t comfortable in that lineup anymore and our results were very sub par so, we weren’t content with how things were shaping up. That chapter of our lives ended naturally. A: For approx. 2 months, you were standing-in for SK Gaming. You played at ELEAGUE Major in Atlanta but, lost to Virtus.pro in the semi-finals, although it was a very close match. How did it feel to play with what is currently the best team in the world? R: There are no words I could use to describe playing with SK. It’s just on another level. 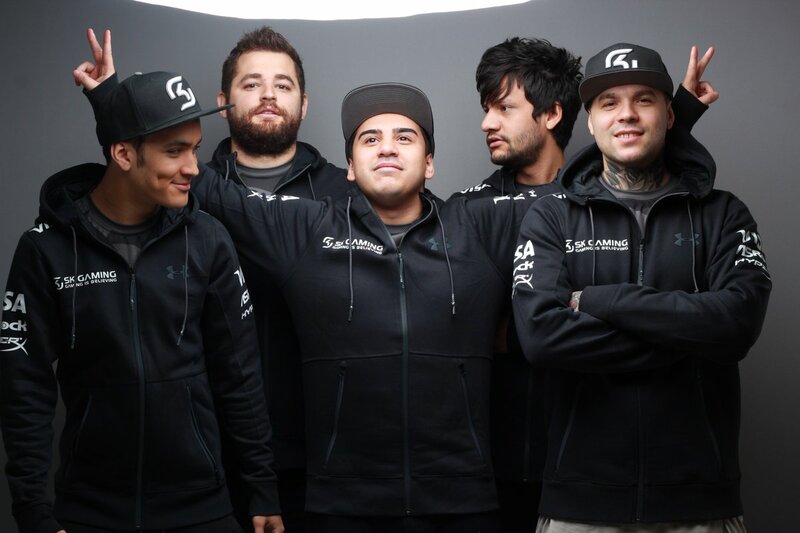 By far the best in the World and probably the best of all time in CS:GO’s history. They are not just world-class players, they are also great guys. I can safely say it was the highest point in my international career. A: What are your plans for the future, especially in the context of Team Kinguin? Will you dominate the Polish CS:GO scene, or are you aiming higher? R: Well, I’d say we have to start somewhere. The scene in Poland is pretty stacked. They have a lot of quality teams, so we will need to be on top of our game and practice hard to lead the pack. Our main goal, in the long run, is reaching a Major. A: Thank you for your answers, Ricardo. I wish you and your team all the best. R: Thank you as well for the attention. All the best for you guys too!